Given the harsh winter across the country this year, more home buyers may have added a mudroom to their wish-lists. Could staging one in your listing win over more buyers’ hearts? The home owner may already have the perfect space carved out for one. If that’s the case, all you may need to do is bring in a bench and add some hooks or cubbies for extra storage. 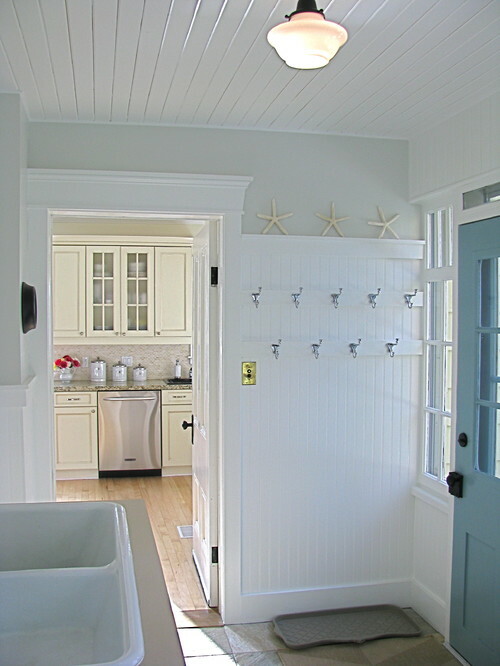 The mudroom is a place to transition from the outside to the inside. The idea is to create an organized place for hanging coats and bags, and removing those muddy shoes or organizing the children’s items as soon as you step in the door — and so they’ll be easy to grab when you’re ready to step back out the door. As such, the location of the mudroom needs to make sense if you stage one. Mudrooms need to be close to an exterior door or the garage. Otherwise, the purpose is defeated if you have to track your rain boots and wet umbrellas across the house. Here are some easy ways to add characteristics of a mudroom to your listings. Add some cubbies for extra storage. 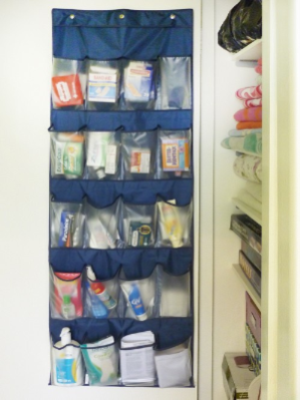 This can be a perfect spot to store shoes, kids’ toys, or all of that ever-growing winter garb. Offer up a bench where home owners can sit down and remove those dirty shoes, instead of trying to balance on one foot to do it. 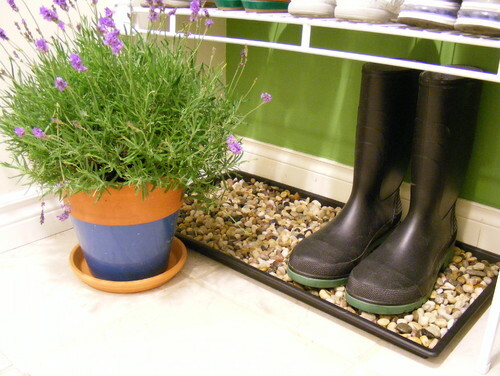 Offer up an easy wipe-off mat or dress it up a bit by trying out this idea of using a tray filled of rocks to store those muddy boots near a door. Add some hooks for hanging coats or book bags. If the home doesn’t have an entryway closet, your buyers may never miss it.